1. 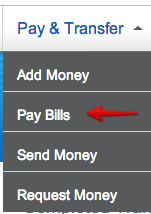 Login to your Serve account and select “Pay Bills” under the “Pay & Transfer” tab in the nav bar. 3. You can pay a business or a person. If you decide to pay person or a business not on American Express’ list they will send them a check which will take 5-7 business days. I am going to add my Chase Ink Bold. 4. 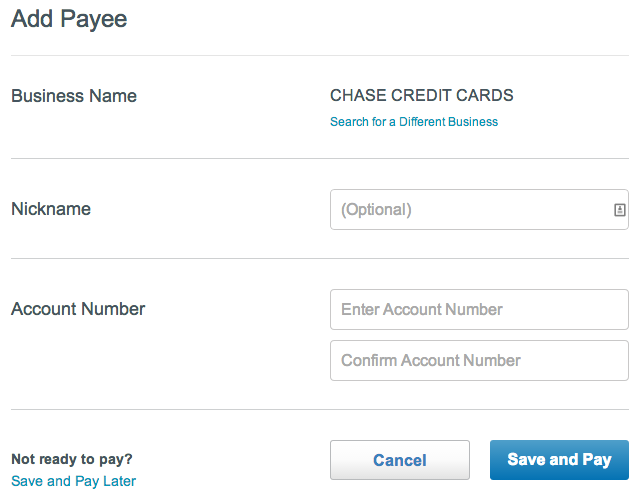 Select the company you want to pay and fill out the necessary information for your account. Account Number is your credit card number if you are paying a card. 5. 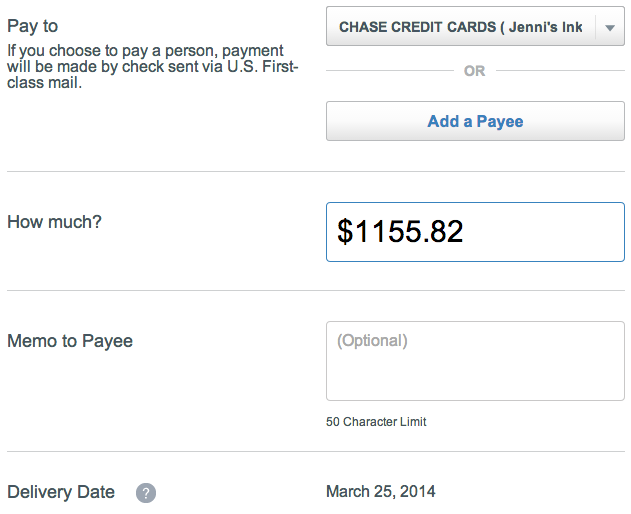 Enter the amount you want to pay and a memo if you would like. Then on the bottom of the page you will have a delivery estimate. 6. The bill payment will appear on your account home page immediately, however your credit card will likely receive the payment in 1-2 business days.